HD Vinyl partners with major pressing plants for autumn 2019 launch | What Hi-Fi? HD Vinyl is promising 30% more audio information and 30% longer playing time – and it's now taken a step closer thanks to a raft of new agreements with major pressing plants. The company used the Making Vinyl conference in Detroit to announce a deal with GZ Media, the world's largest vinyl manufacturer, reports DigitalMusicNews. Based in the Czech Republic, GZ employs more than 2000 people and accounts for 60% of the world's vinyl record production. 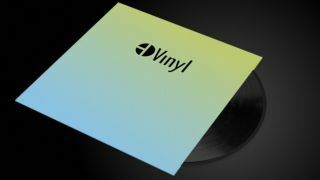 Two other plants, RSA in Connecticut and Viryl Technologies in Toronto (which has worked with Jack White's Third Man Records), have also signed-up to produce HD Vinyl, bringing the format a step closer. But it won't be an overnight job. Guenter Loibl, HD Vinyl founder, explained a fair amount of work will be required to get the factory producing the new records. "Since HD Vinyl stampers will be made out of laser-cut ceramic instead of electroplated metal stampers, new molds and fittings have to be developed." Earlier this year, Rebeat Innovation, the company behind HD Vinyl, revealed it had raised $4.8m (£3.4m) to develop the format. The patent behind the format describes a method of manufacturing vinyl records with greater fidelity, greater amplitude and longer playing times than conventional LPs. This year, Rebeat has raised a further $1.9 million. So it looks like the company is serious. First revealed back in 2016, HD Vinyl doesn't just promise higher-quality audio and longer run times. The design of the HD Vinyl stampers is said to eliminate the need for harmful chemicals in the vinyl production process, reducing toxic waste, while the complete manufacturing process is said to be faster, potentially helping to ease pressures on plants to keep up with vinyl demand. The company says it expects test pressings to emerge in the spring of 2019, with HD Vinyl in shops by autumn. But are you ready to buy your records all over again? You can read more about the full process, and the thinking behind the product itself, on the HD Vinyl website.